Eurobackpackers, Lima, Peru | LOOK WHAT WE DONE! HOSTELS HUH. AMIRITE GANG? They’re just GREAT. You get to meet other travellers, find out an area’s inside knowledge, be at the centre of the party, not get to sleep until 2am whether you like it or not, snooze in a small room with 12 other people, wash other’s dishes so that you can get to that fork on the bottom of the pile – I mean, they’re just super. If you’re travelling South America, there’s a high chance you’re doing it for a few months. And, despite hostels being bangin’ places to be, there may come a point where the last thing you need is to be lying below a 38 year old obese drunkard who is a 50/50 chance of releasing bodily fluids in the night. You need to get out of the grimy, overloaded, sweaty hostel set. Welcome to Eurobackpackers Lima. 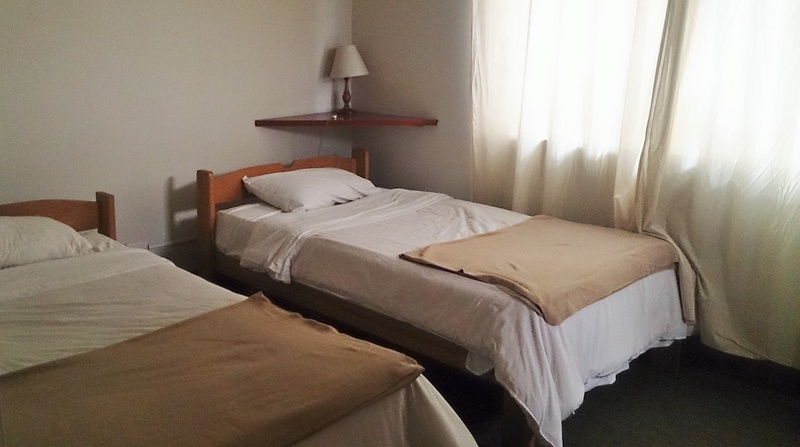 In the dead centre of the tourist hub of Miraflores, half a block off of Avenue Larco (the main strip) and just 4 blocks from the coastline, Eurobackpackers has the most prime location of all of the many Lima hostel options. Previously used as a house, the property was left to the original owner’s daughter, and Tania has since converted it into a cute and homely hostel. And for those in the above situation – of which there are many in the gringo thoroughfare of Lima – it is just the ticket. 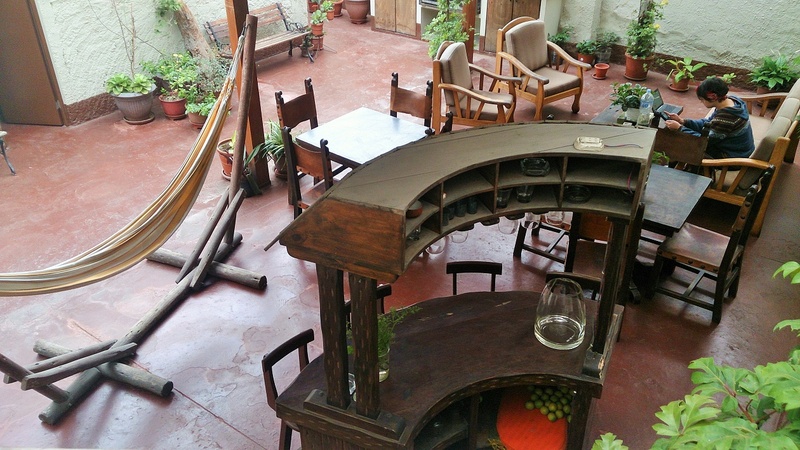 It essentially offers a hotel experience at hostel prices. The rooms are finished in minimalist hotel sort of style, and things that you’ll never get as standard at a hostel – towels, breakfast, complimentary soaps – are all included as freebies. ‘Well hang on now’, I’m hearing you say, ‘this is all well and good, but dorms is dorms yo’. As it happens, Tupac, dorms is not dorms. 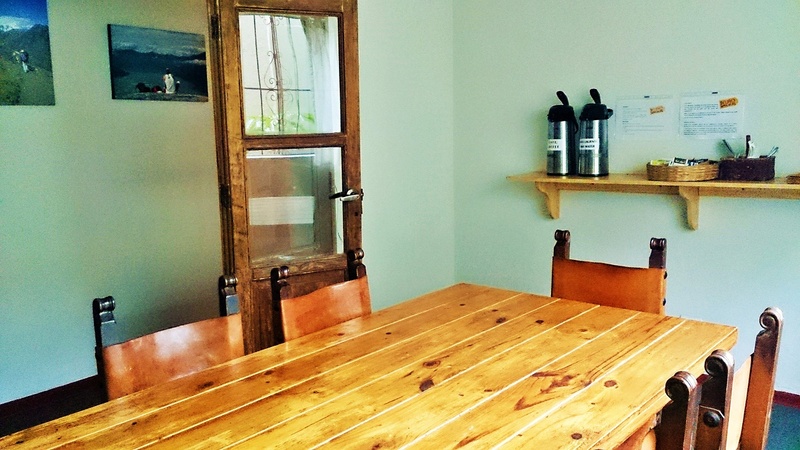 Eurobackpackers has but 2 – a girl’s 4-bed and a mixed 7-bed – that are the most spacious things we’ve ever seen. There is only one bunk bed in the whole place, the beds are both generously sized and well spread, and the security lockers have enough space to hide a family of 4 themselves. There are a multitude of private options available, from 3-bed to twin to matrimonial, topped off with an ensuite matrimonial that includes a king-sized bed. And they are all, once again, at hostel rates. As mentioned, continental breakfast is included, and purely for the fact that the bread is fresh and the coffee plentiful, it would have to be up there for the best freebie we’ve had in South America. They keep the coffee and tea flowing all day long, so if you’re a 1pm wake-up style unit, you can still wash down the embarrassments of last night with a hot cup of early-arvo joe. There are a couple of communal areas inside, but if you head to the backyard you’ll find a freshly renovated entertainment area with a barbecue, small bar, hammock and couches. It’s a super nice place to chill, and also happens to be the prime WIFI spot, so we found ourselves wasting a fair bit of time there lazing about soaking up the serenity. We found though, that above all the hotel perks, the staff really made the place. Disinterest is the distinguishing feature of South American hostel workers. The blood from a stone routine in trying to get information – particularly in a second language – gets really tiring really quickly. No such strife at Eurobackpackers. The smiles we were met with at the front counter were worth their weight in gold, their English was outstanding, and we felt like we were hanging around good mates from about 5 minutes in. Tania puts a lot of effort into choosing the right people and it more than pays off.